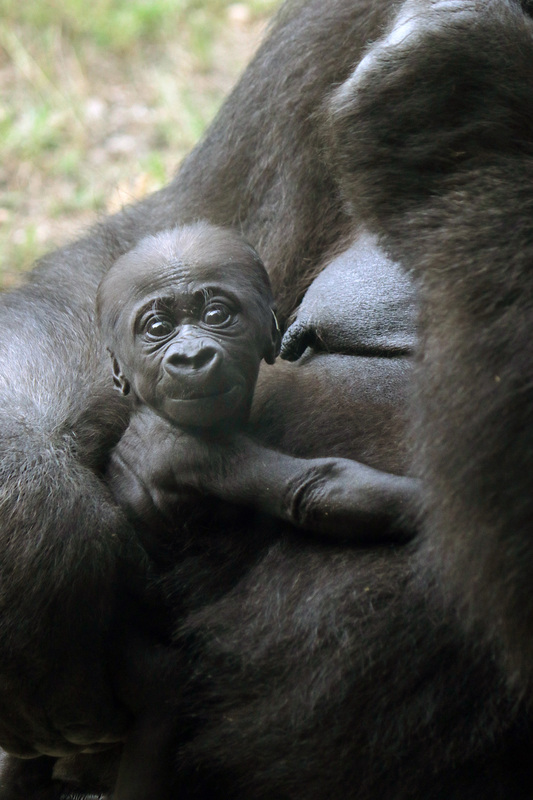 We are proud to share that our first critically endangered gorilla born in 20 years is a female named Saambili (sam-BEE-lee). 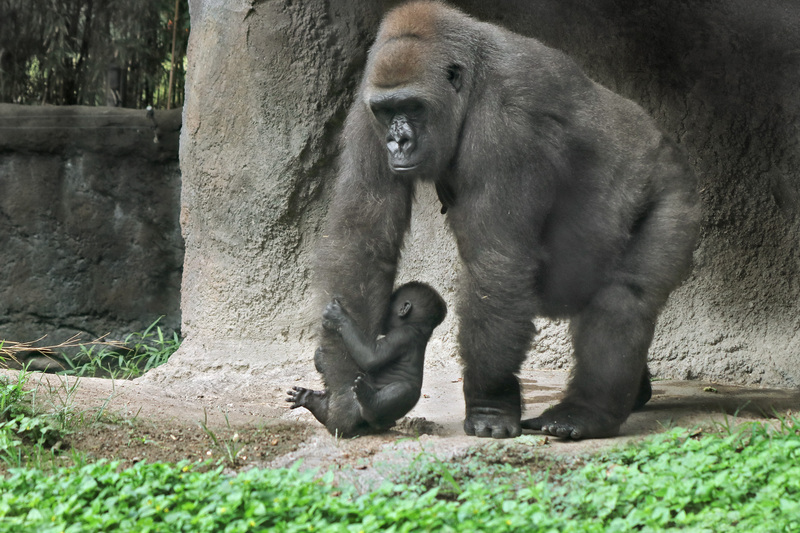 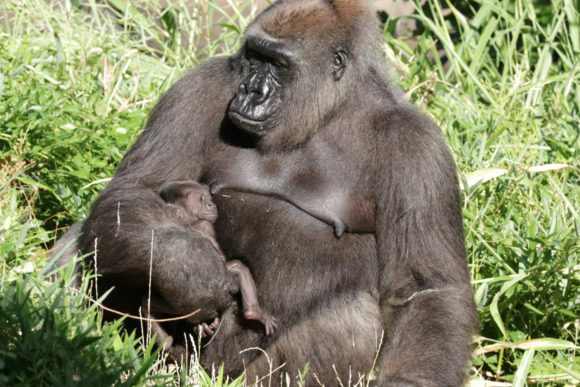 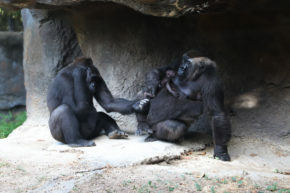 Born on June 25, 2018, to second-time mom Hope and first-time dad Subira, Saambili is named after a female gorilla caretaker, Aldegonde Saambili, who works for Dallas Zoo’s conservation partner, GRACE (Gorilla Rehabilitation and Conservation Education Center), in the Democratic Republic of Congo. 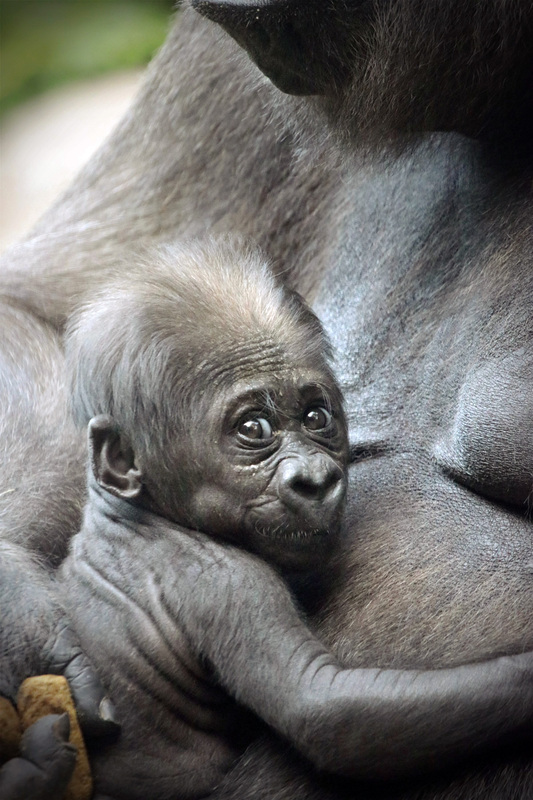 A close up of gorilla Saambili on mom Hope’s chest.